Verizon customers, on average, pay more in total for their cellular service than customers of all other U.S. carriers, new research done by financial advisory firm Cowen and Company and published by ArsTechnica shows. 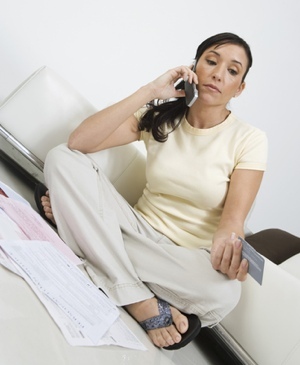 The average Verizon monthly bill comes in at $148, a number that takes into account family plans, taxes and fees. That’s slightly more than both Sprint ($144) and AT&T ($141). T-Mobile customers enjoy the lowest bills, with an average monthly charge of just $120. The Cohen study looked at the monthly bills of 1,876 U.S. mobile subscribers in the fourth quarter of 2013. Verizon is the most expensive carrier, in part, because it’s the most technologically advanced of the four. The company has largely finished its nationwide rollout of 4G LTE while the others are still playing catch up. It should come as no surprise that T-Mobile is the least expensive of the four – the carrier is waging war against the industry, offering reasonable international roaming prices and huge bounties of money to switch. Another interesting fact in the study: Those of us who have iPhones tend to spend more on our cell service ($104) than those with Android devices ($94). And if you’re still holding on to your old clamshell phone, you’re indeed saving money – non-smartphone owners only pay $63 per month on average. For more information on saving money on your cell phone bills, check out our guide to discount prepaid cell plans and our coverage of T-Mobile’s latest price drops. It seems your article only covered major players in the market, and left out others such as CREDO & Straight Talk. I’m sure there are many other plans, but some deserve acknowledgement. CREDO for instance is a social conscious company, and available pretty much everywhere in the U.S.. It also seems very competitive, and requires no contract allowing you to use old phones.